L’oscar Hotel’s lavish restaurant and bar – Baptist Grill – seems to have been designed for Liberace himself. Expect extravagantly plush purple fringed chairs, cushions and dinner plates adorned with peacocks, glass bird-shaped lighting fixtures mounted to every inch of the interior, and bathrooms fitted with crystal butterfly taps. All of this sits within the impressive domed chapel of the old Baptist church in Holborn. It’s a lot – but we love it. 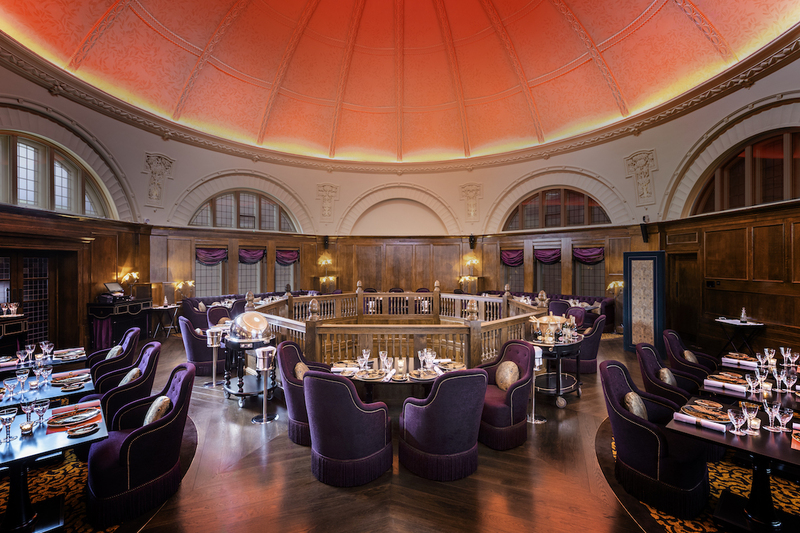 The bar is located on the ground floor, beneath the dome, and is a massive mirrored setting from which a whole host of bespoke cocktails stream. 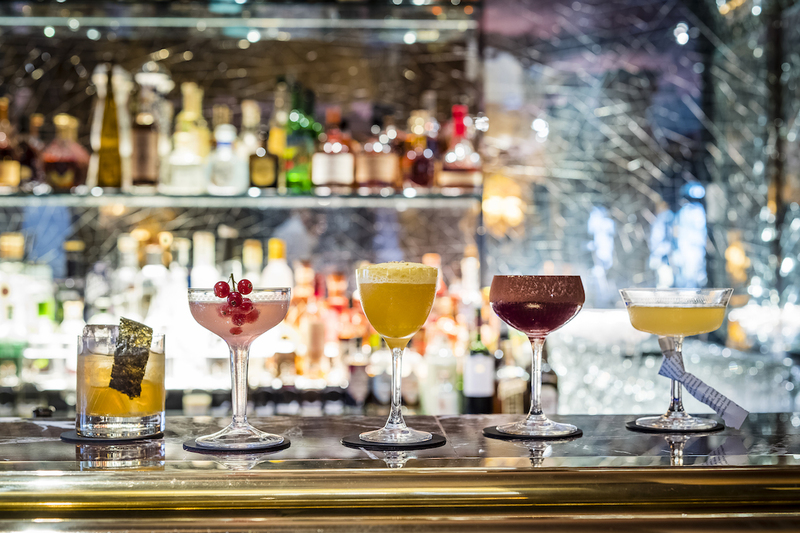 Each is named after one of the seven deadly sins, with a brilliant version of an Espresso Martini coming in the form of Gluttony. 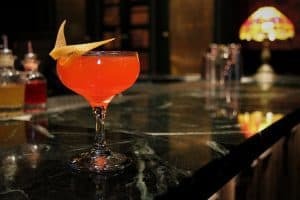 Greed, meanwhile, is to die for, and comprises Mezcal, Campari, Aperol, lime, chilli and egg whites. 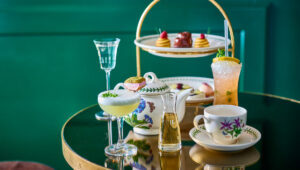 It’s both creamy and refreshing – the perfect aperitif cocktail to tuck into before feasting upstairs in the dome itself. Diners scale the winding marble staircase up towards the grill, passing yet more opulence in the form of towering art deco statues; only then will they be seated and ready for a dining experience to match the lavish decor that surrounds them. Executive chef Tony Fleming – who won a Michelin star at Angler, near Moorgate – brings both flare and restraint to the Baptist Grill’s menu. A lot of his creativity comes out in the starters, which can’t be skipped over. 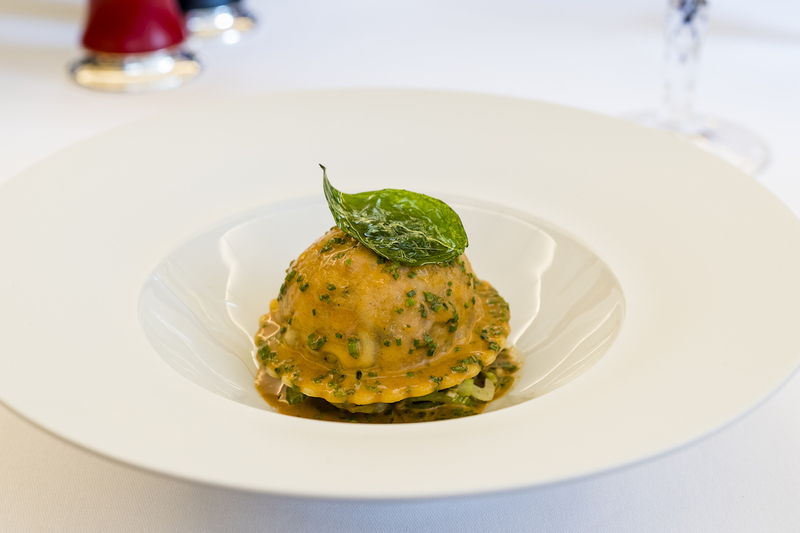 The duck and shiitake ravioli is a massive win – rich meaty ravioli surrounded by a punchy creamed cabbage and smoked red wine sauce – but be sure to pair it with a glass of white to cut through some of the intensity. The coronation crab salad is another noteworthy addition to the menu; delicately assembled into a tower with gem lettuce, mango and pickled lime layered below fresh shellfish. These small dishes will whet the appetite before you dig into the signature charcoal grill dishes. It’s all about the meat here, so choose one of the daily cuts from the trolley or a classic steak from the main menu. Of course, when it comes to Fleming’s grill dishes, nothing is just an ordinary cut. Take the ribeye steak, for example. This mammoth cut of grass-fed Cumberland beef is cooked to perfection before being topped with miniature raviolis stuffed with snails and a homemade bordelaise sauce. Throw some truffle mash potato on the side and you’re dreaming. 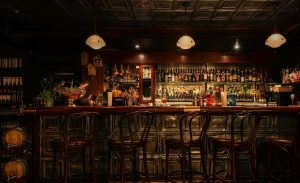 The menu boasts a wide selection of seafood and a few token vegetarian options which look pretty special, too, but carnivores reign supreme in this neck of the woods. And while they promote themselves as a luxury fine dining venue, the prices are still reasonable. You can easily spend around £100 between two people and be very satisfied. But Baptist Grill is also perfect for treating yourself. Make friends with the sommelier who will pair wines to each of your dishes, bringing everything to the next level. But no matter how you go about it, you’ll feel like a king at Baptist Grill. A very flamboyant one at that.